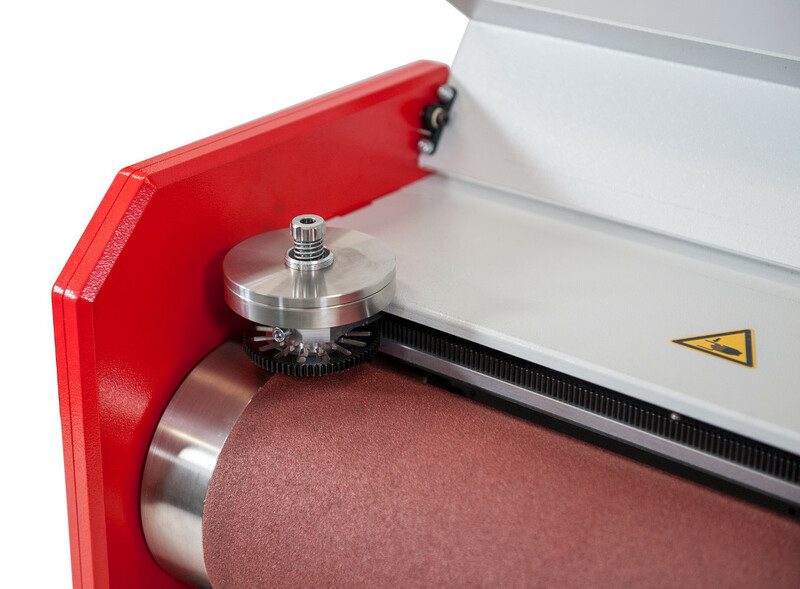 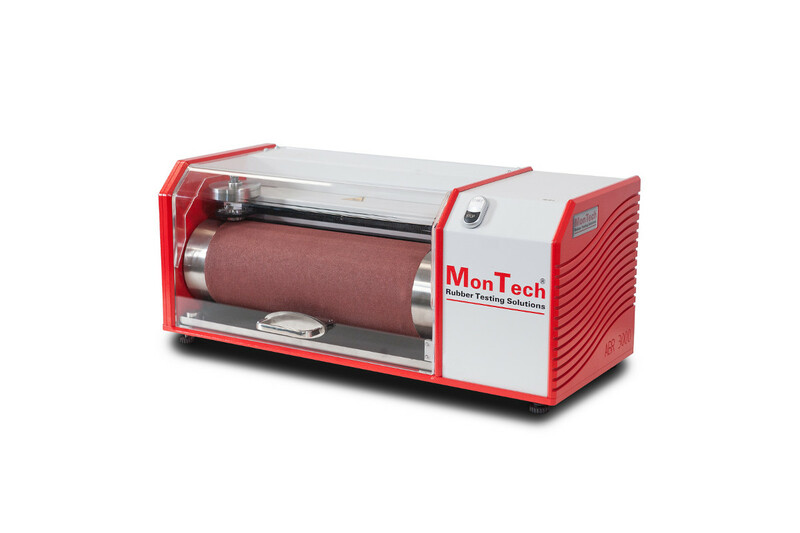 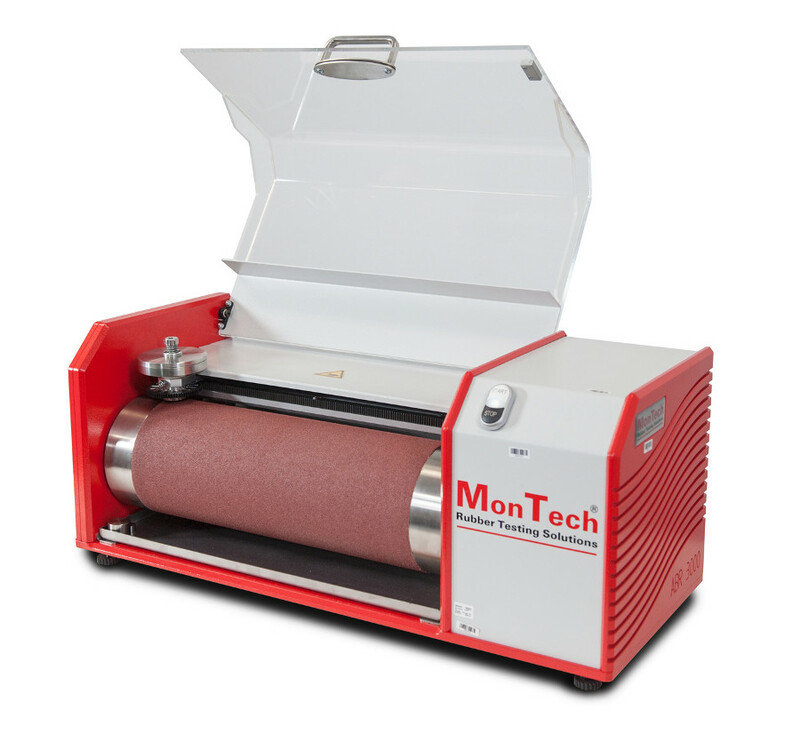 The field proven MonTech ABR 3000 DIN Abrasion Tester is the rubber industry’s new standard for quickly determining the abrasion resistance of a rubber product. 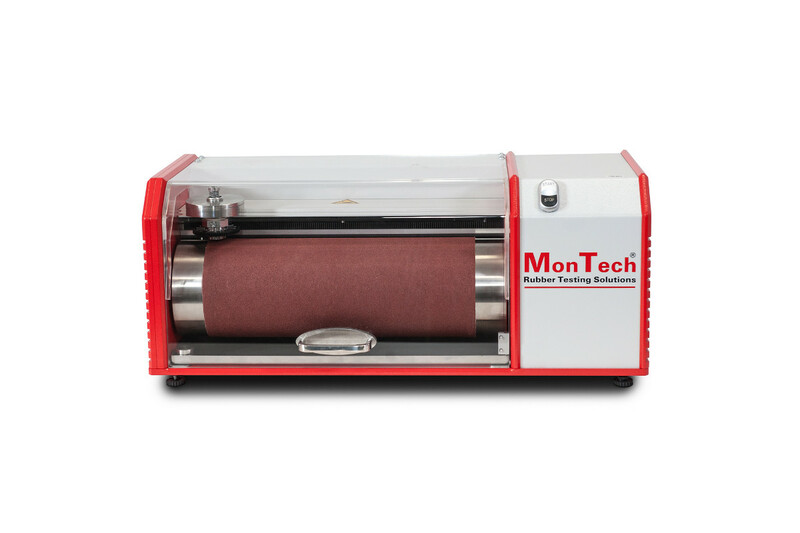 The ABR 3000 DIN abrasion tester is the simplest and safest way to determine the abrasion resistance of rubber, or frictional loss of any elastomer over a predefined distance. 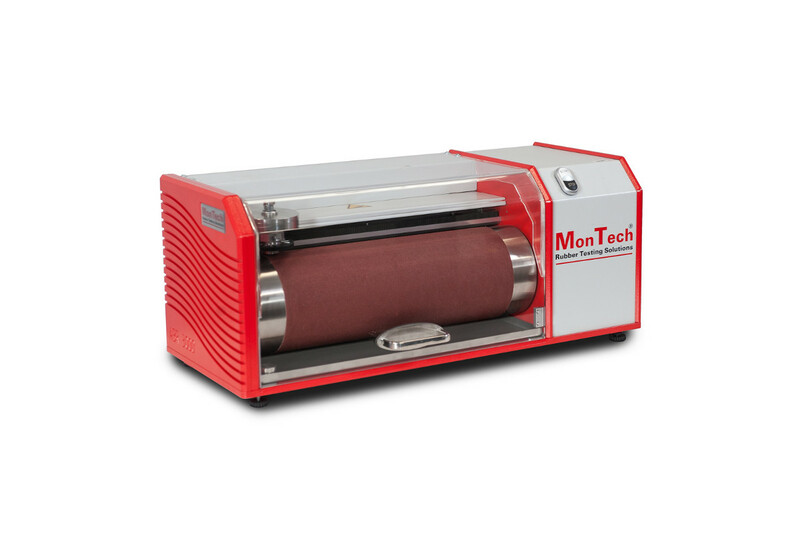 The rubber abrasion test is one of the most important and widely used tests for simulating a rubber product’s abrasive exposure in its end environment. 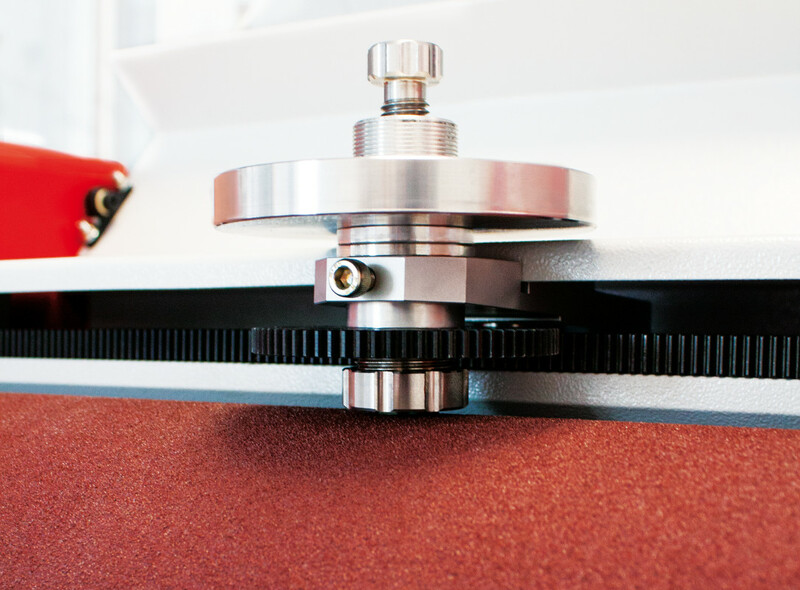 Fixed into a quick clamp sample holder, the test specimen is precisely guided across the rotational drum. 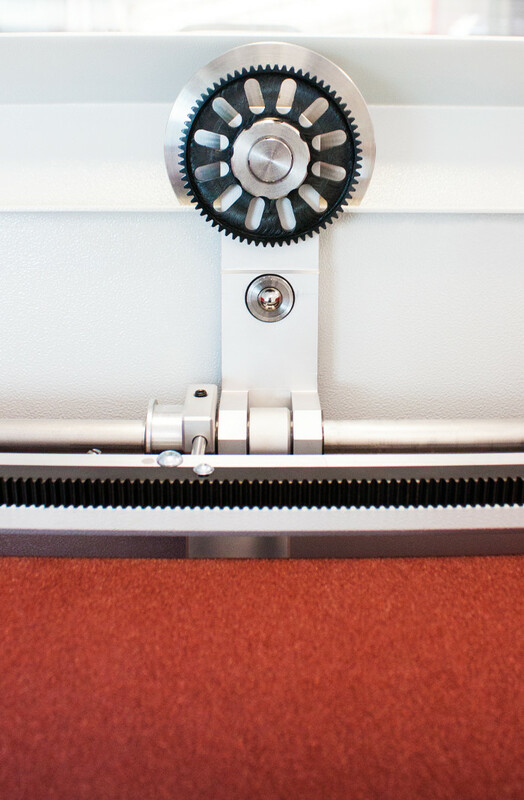 Upon test completion, sample weight is taken to compare the loss factor. 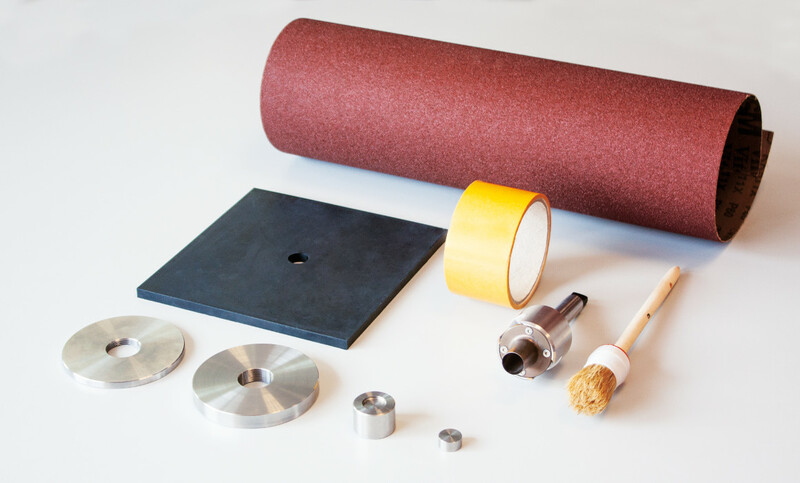 Standard load weight of 2.5 N with additional load weights of 2.5 N and 5.0 N.